The Serenade of the Seas, as part of the amazing Radiance class of cruise ships, is one of the nicest ships in the Royal Caribbean fleet! With a ten-story glass atrium, as well as glass elevators that face the ocean and give an amazing view, it's engineered for fun and glamour! This ship has so many outside cabins with balconies that you'll never have to worry about the ocean view - because you can see it from anywhere on the ship! The ship also travels at a greater speed than other cruise ships, the rooms are more spacious, and of course all of this comes with the superior service and staff that Royal Caribbean is known for! So what are you waiting for? 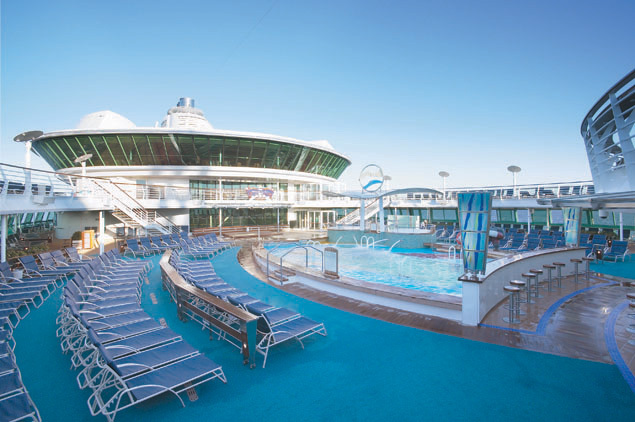 Book a cruise on the Serenade of the Seas today! 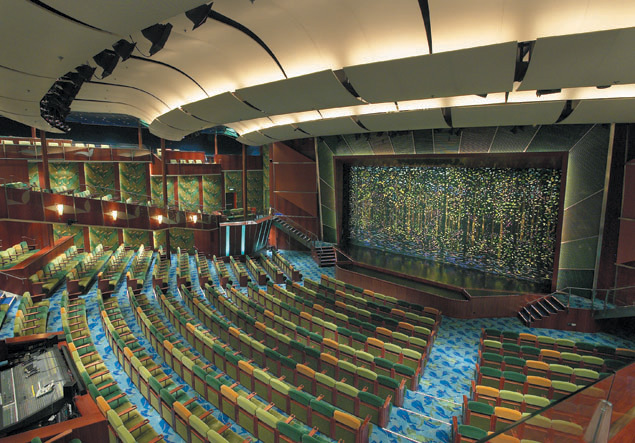 The Serenade of the Seas is jam packed with things to do! Climb around on the rock-climbing wall and get to the top! Enjoy the sun at the swimming pool, or relax at the indoor/outdoor country club, which features a golf simulator! If you want a relaxing day without the kids, drop of the youngsters at the Adventure Ocean ® youth area - they'll have lots of age-appropriate activities to occupy them all day! Pamper yourself at the day spa, or work out some stress at the gym in the fitness center! The ship even comes equipped with a basketball and a volleyball court! 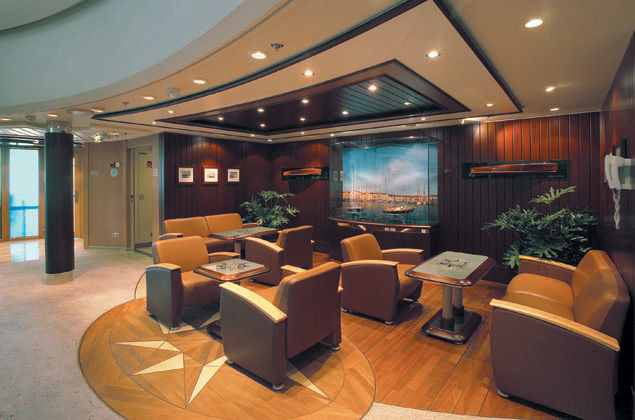 Wander around the ship and spend some time in the gorgeous indoor Solarium! There are organized games and activities, contests, prizes, and much more on the Serenade of the Seas! 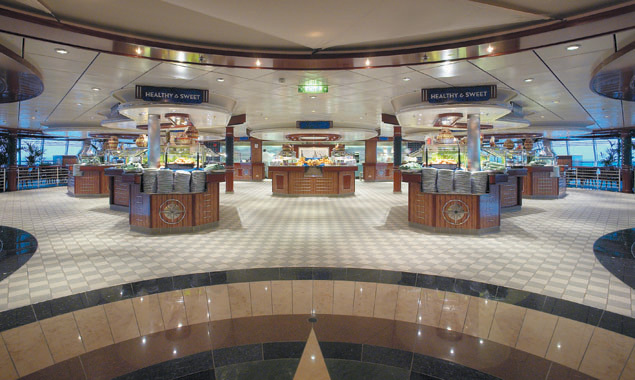 The Serenade of the Seas has amazing food! Your taste buds will delight in all of the different delicious options. The regular dining options feature your favorite foods, and much more! Don't forget, there is 24-hour room service that offers the full breakfast, lunch and dinner menu, too! If you'd like something a little different, head over to the Portofino Italian Restaurant, the Chops Grill, or the Seaview Café. If you like coffee, there's even a specialty coffee house that has Seattle's Best Coffee ® - it's called Latté-tudes! The options are endless! Just because the sun is going down, your day doesn't have to end! 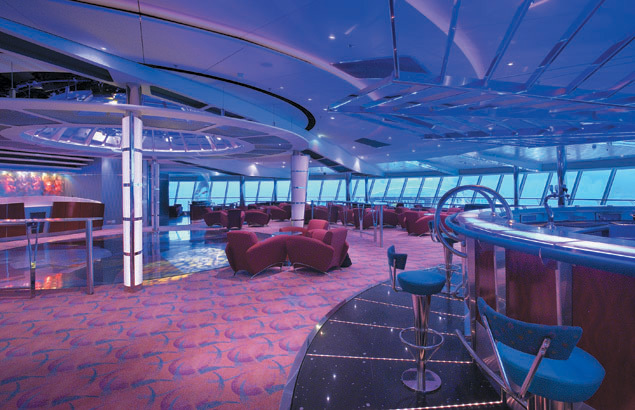 On the Serenade of the Seas, your evening will be just as fun as your day! Enjoy live musical performances featuring jazz and big band music, or go see a Broadway-style show! The Colony Club, which is a british-themed colonial-style lounge, has lots of pool tables that level themselves to compensate for the motion of the ocean! So grab some friends, play some pool, and enjoy a cocktail in style! 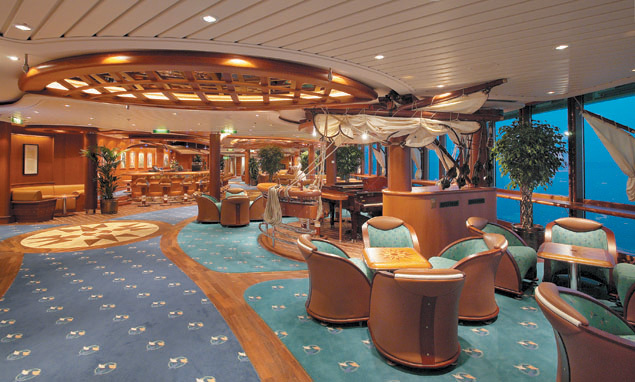 There are lots of other themed bars and lounges on this ship, so whatever atmosphere you crave, you'll find! Go dance the night away in the nightclub, or head over to the Casino Royale and try your luck! You'll have a great time until the wee hours of the morning!